Joan Tollifson points, in her writings and meetings with people, to the ever-changing, ever-present living reality Here / Now. Her bare-bones approach is open, direct, immediate and down-to-earth. She is interested in seeing through the imaginary problems that we think are binding us and waking up to the aliveness of this moment, just as it is. Joan points to the illusory nature of both the seemingly encapsulated separate self and the apparently observer-independent “outside” world. She has roots in both Advaita and Buddhism, but does not identify with any particular tradition. Her main teacher was Toni Packer, a former Zen teacher who left the tradition behind to work in a simpler and more open way. Joan has spent time with many other teachers as well (including Advaita teachers, Zen and Tibetan Buddhist teachers, and radical nondualists). In her books and meetings, Joan encourages people to look and listen for themselves and to question all beliefs. 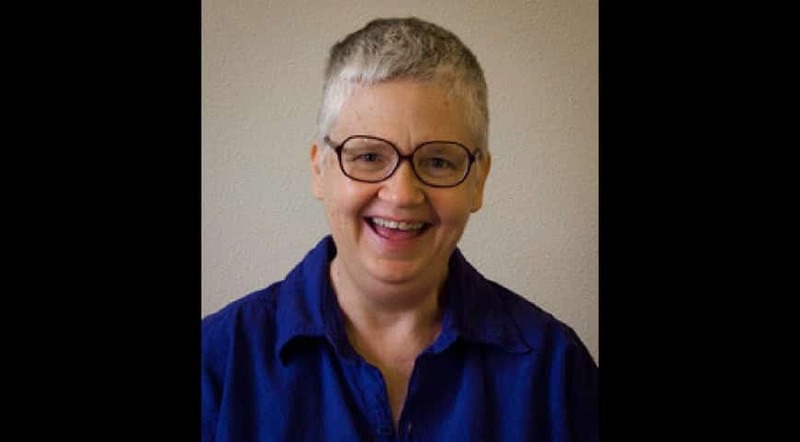 Joan is the author of Bare-Bones Meditation: Waking Up from the Story of My Life (1996), Awake in the Heartland: The Ecstasy of What Is (2003), Painting the Sidewalk with Water: Talks and Dialogs about Nonduality (2010), and Nothing to Grasp (2012). Her most recent project is exploring aging, death and that which never dies. Joan has lived in northern California, rural New York state and Chicago. She currently resides in southern Oregon. You can further explore Joan’s work through the right side bar: videos/blog posts, webcasts, books, and articles. For more information about and teachings from Joan, visit her website. And, you can watch more Joan Tollifson videos in our library. Below is Joan’s talk from the 2016 SAND Conference, The Freedom of Nothing to Grasp. Image of Joan is from Joan Tollifson’s website.